I’d like to introduce myself. 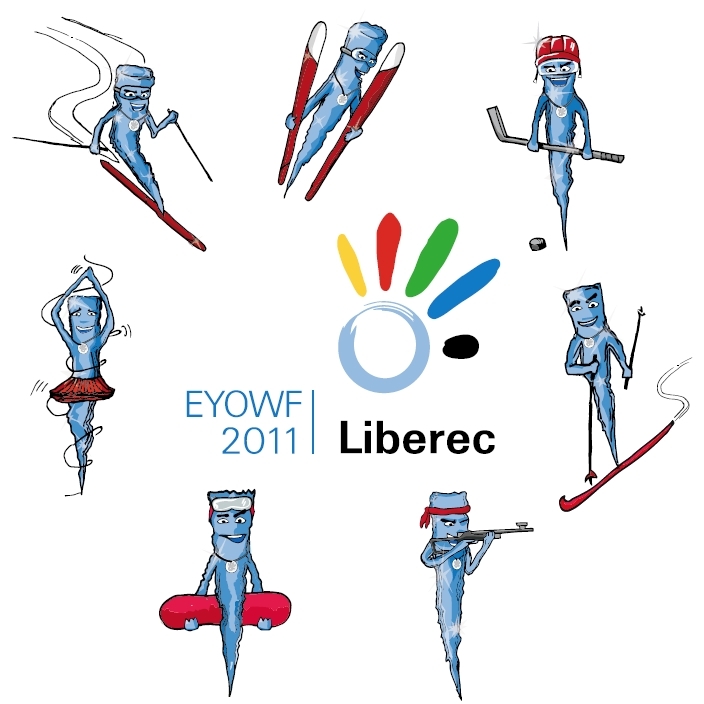 I am big Rampich – the Icicle and am the mascot of the 10th European Youth Olympic Winter Festival (EYOWF) 2011, which will take place in the Liberec Region next year. 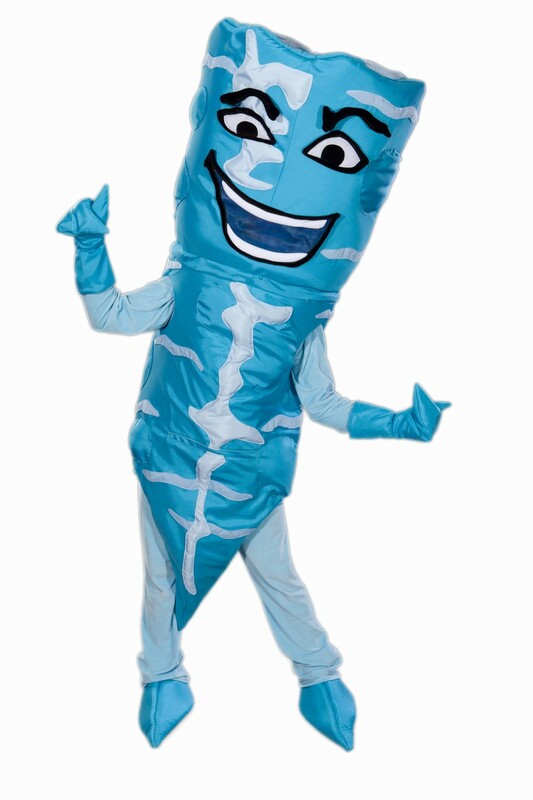 It's no big surprise that I have been chosen the symbol of a sporting festival which has never been in the Czech Republic before ‘cause I’m a real tough guy and this festival’s gonna be really hard work. It's certainly not going to be a piece of icy cake, haha! Young athletes will be coming here from all over Europe! The oldest are only eighteen. I’m not scared, I speak all the cool languages. I really look forward to have a chat with them, face to face or, ‘cause I’m so cool, through Facebook, of course. You can have a chat with me there any time, see what’s new around and check out some wicked pics from different events, all till the Festival starts. Yeah, I wish it was here already. I can’t wait for all the eight disciplines. I like winter sports and enjoy them, ‘cause I am really good at them. Sometimes, when I hang around outside, I see races on TV through people’s windows and I have a really good laugh. Is that so hard to ride a few hundred meters in a pipe on a snowboard? They fall all over the place. Hmpf, if I was there, I’d ride like mad, I’d wipe everyone out. And those cross country skiers? They can’t breathe after a couple of kilometres… Well, only someone like me, with lungs of ice, could do that! And what about the hockey players? Man, they dash alone on the goal and miss anyway. That’s the curved sticks, I'd say. If they were straight like me, there’d be so many goals the stuffed-up goalies wouldn’t be necessary at all. All the big shots coming to EYOWF 2011 can bet I’ll thoroughly check them out. I’ll be right behind them, I’ll give them a hard time. I might break some cross country skier’s pole or mess up their wax, the ice hockey players will get an own goal at the start, the downhill skiers will hit a gate or I’ll wrap them in fog. Ski jumpers will have to face the wind, the snowboarders will go through snowstorms, I might trip some figure skaters or twist their pirouettes, I’ll darken the vision of the biathlonists so they won’t be able to hit the broad side of a barn. We will see how they will manage the obstacles, while I’ll be standing behind a tree laughing my head off. I promise I’ll be a tough opponent and I can’t wait for the competitions with everyone. And if anyone manages to successfully evade all of my traps and dirty tricks and win a medal, I guess I’ll have to applaud appreciatively and maybe them an icy hug as well. ‘Cause that will be a real champion, who is not taken by surprise and who will one day emerge as a big shining star among the grown-ups. So let's applaud all the sports and a big applause for me! P. S.: Oh yeah, if you want to know, I was designed at ListDesign, a graphic design studio in Liberec.